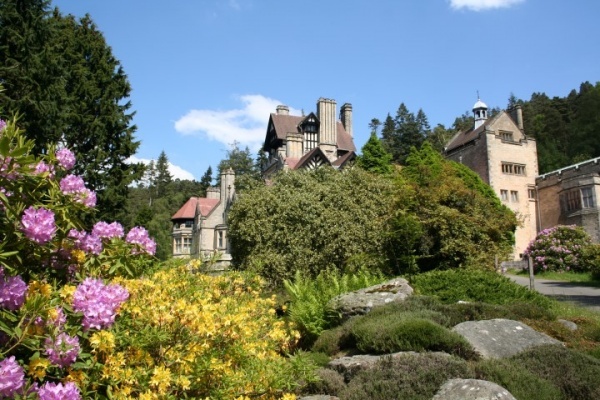 Described in 1880 as 'a palace of the modern magician', Cragside House, Gardens and Woodland is a truly unique visitor attraction in the heart of Northumberland. Situated near Rothbury, it was the family home of Lord Armstrong, Victorian inventor and industrialist. 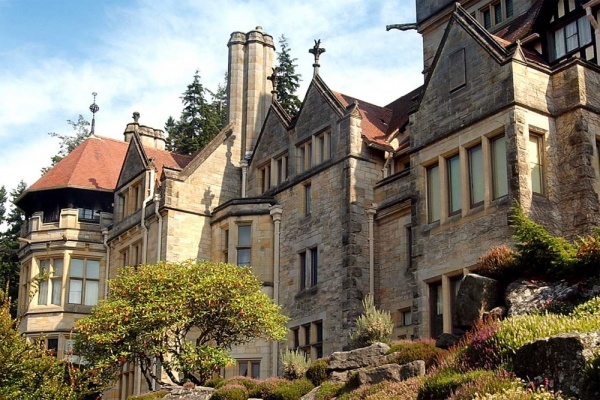 Cragside was the first building in the world to be lit by hydroelectricity and a walk around the National Trust property reveals a wealth of ingenious gadgetry including fire alarm buttons, telephones, a passenger lift and a Turkish bath suite. 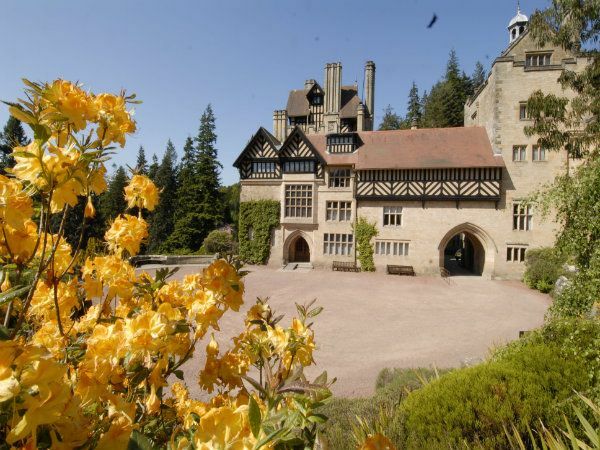 As if that wasn't enough, the grounds of the Cragside Estate offer up a host of activities that will keep you and your family busy and fit. There's a play area, a rhododendron maze, a waterfall and the Trim Trail, where the whole family can test their agility. The estate has more than 30 miles of footpaths and lakeside walks. If it is raining, head inside to the Power House which has interactive models which children can use to generate their own electricity. There is also a children's trail in the house. Cragside is home to one of Europe's largest rock gardens sloping down the valley to the Debdon Burn. The Iron Bridge, one of the oldest of its type in the UK, crosses the burn. Armstrong was a landscape genius and constructed five lakes and planted over seven million trees and shrubs. The estate can be explored either on foot or by car and look out for the increasingly rare red squirrel that has made the gardens of Cragside its home. The revolutionary home of Lord Armstrong, Victorian inventor and landscape genius, was a wonder of its age. Built on a rocky crag high above Debdon Burn, the house was the first in the world to be lit by hydro-electricity. Cragside is a garden of breathtaking drama, whatever the season. Armstrong constructed 5 lakes, one of Europe's largest rock gardens, and planted over 7 million trees and shrubs. Today this magnificent estate can be explored on foot or by car and provides one of the last shelters for the endangered red squirrel. Children will love the tall trees, tumbling streams, adventure play area and labyrinth. Visit the National Trust webiste for up to date opening times and admission prices as well as infomration on events and activities. 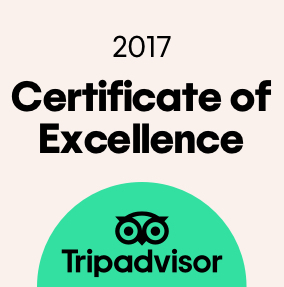 Lose yourself in miles of walks through tree or rhododendron lined pathways, meander around lakes, and definitely visit the stunning house with its endless rooms and corridors with twists and turns and amazing inventions, period furnishings and decor. Truly amazing. And it's National Trust so well worth a visit for members. An amazing place. I have taken many friends and family here over the years. The massive gardens and lakes are amazing (you can even drive around if any of your party have difficulty in getting about!). The house is an absolute treasure for history, architectural, art or science officianados! This is a great place for a few hours or a full day out. Something for everyone. Would recommend a visit if you are in the area. It’s not cheap for entry, but it is worth it. We visit every time we are in the area. This site really does have something for everyone. 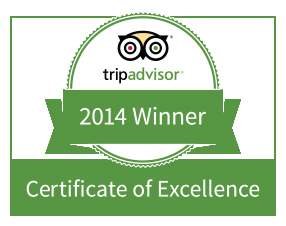 We will certainly be visiting again and will, no doubt, spend the whole day there again. My highlight was the 6 mile drive around the grounds where we took advantage of the various parking areas to go and explore on foot.